Hitoy-Cerere, about 60 km southwest of Limón, is the most remote reserve on Costa Rica’s Caribbean slope. Much of its territory has been yet unexplored. There are only two ranger stations at the entrances, and as trails are unmarked you need to be an experienced trekker to explore this pristine territory. Much of it is primary forest, with dense canopies and a high concentration of epiphytes (orchids, bromeliads, ferns). The reserve is surrounded by three indigenous reserves: Telire, Talamanca and Tayní. 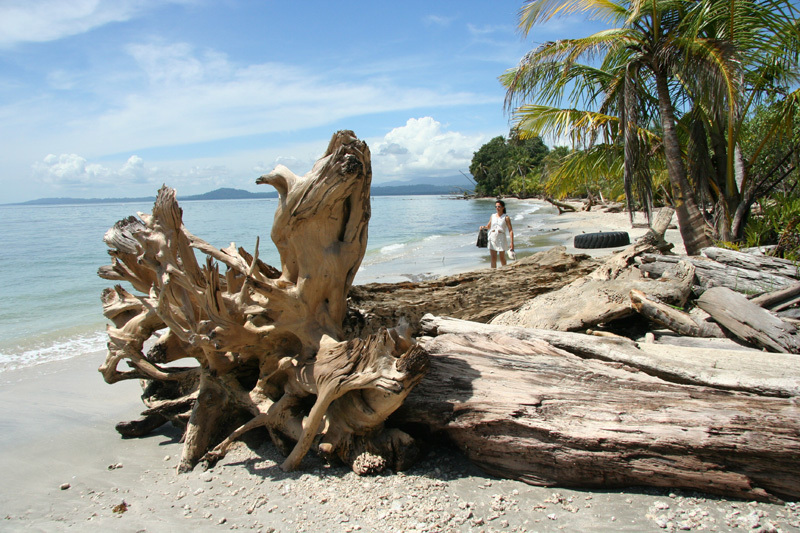 Cahuita is a small, pleasant preserve on the Caribbean coast, between Limón and Puerto Viejo. It was founded in 1970 to protect Costa Rica’s largest coral reef from siltation caused by deforestation and pesticides from banana plantations. This suffocated the coral polyps and disrupted the symbiosis between the blue-green algae and the corals. The reef is slowly recovering and is still a great place for snorkelling (diving would be possible, but there is no operator on this side of the country). Cahuita is fabulous to discover the Caribbean water with snorkelling gear. The park is well organised and there are great trails to explore the coastal area. This is a perfect combination of nature exploration and bathing time at white sand beaches (where turtles nest). Located 10 km south of Puerto Viejo, close to the Panamanian border, this reserve offers one of Costa Rica’s last living coral reefs. The refuge is easily accessible by the road to Sixaola via Bribri. In the border region of Rio Sixaola there are also mangrove swamps, which are hard to access. The refuge stretches along beautiful, deserted Caribbean beaches, offering many easy walking trails. The local wildlife includes crocodiles, tapirs and over 350 bird species. Hiking: We warmly recommend the trail from Manzanillo to Punta Mona (5.5 km) to get a good glimpse of the secondary rain forest and the resident wildlife. There are several swimming and snorkelling opportunities along the way (the reef is smaller but healthier here than in Cahuita). Barra del Colorado lies in the northeast of Costa Rica along the Rio San Juan, which forms the border with Nicaragua. Much of the refuge’s area has been subject to illegal logging and cattle breeding, so not much of the original virgin forest remains (in fact, the Nicaraguan side is better preserved, with dense primary rain forest). The park is accessible from Rio San Juan and Rio Sarapiqui. Still, there are nice canals that can be paddled through with a sea kayak – if one has the necessary navigational skills. This refuge forms an extension of Tortuguero National Park, where the Canadian COTEC organization studies the ecosystem. Tortuguero is Costa Rica's most popular national park and a fantastic place to begin your discovery of the country. It is located on the Caribbean, in the country’s northeast. There is an abundance of wildlife that can be discovered conveniently by boat. Various waterways run through swamp and rain forests, making this preserve a sort of “miniature Amazon”. The main canal was built in the 1930s to transport lumber to Limón. The name “Tortuguero“ means “turtle catcher” in Spanish: large scale exploitation of turtles and their eggs took place here for centuries, reaching alarming peaks in the early 20th century and the 1950s. This was finally brought to an end in 1975, when the area became protected. 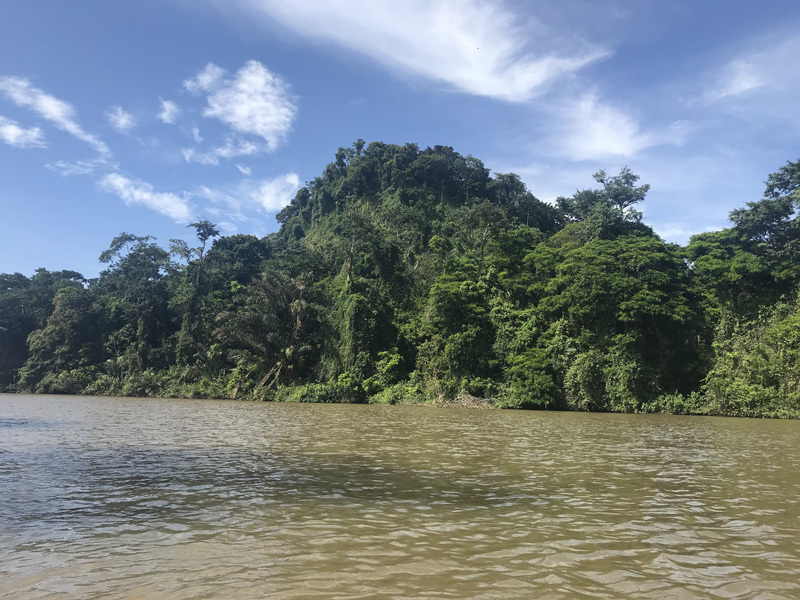 After waking up by the growls of howler monkeys, go for a boat excursion in the early morning (offered by all lodges in the region), which is a great opportunity to study the fauna. The open canals provide perfect setting for birdwatching (310 bird species), as you can look right into the forest’s canopy. Domestic birds include herons, kingfishers and the great green macaw. There is also a variety of migrating birds from North America, like hawks, warblers and orioles. Further animals you might spot on a canal tour are sloths, white-faced and howler monkeys and crocodiles. Manatees also live in the canals but spotting them when they surface requires quite some luck and is most likely a one-time-experience. If you want to see turtles you are required to do so with a guide – in order to check the disturbing tourist intrusion: if you light at nesting turtles with a flashlight they will return to the water instead of laying eggs; after darkness you also run the risk of stepping on newly hatched turtles. So be careful and follow your guide! Nesting season is from August to November and all four turtle species of Costa Rica can be found here. For a personal discovery of the canal zone, there are kayak renting possibilities. That way you are more silent than a crowded tourist boat and you are your own captain. Stay on the main canal in order to avoid getting lost (there is only little current, but you shouldn’t swim due to the local crocodile population). For a stay in this region we particularly recommend Flor de Tortuguero Nature Hotel and Pachira Lodge.